NASA's Mars Atmosphere and Volatile Evolution (MAVEN) mission has identified the process that appears to have played a key role in the transition of the Martian climate from an early, warm and wet environment that might have supported surface life to the cold, arid planet Mars is today. 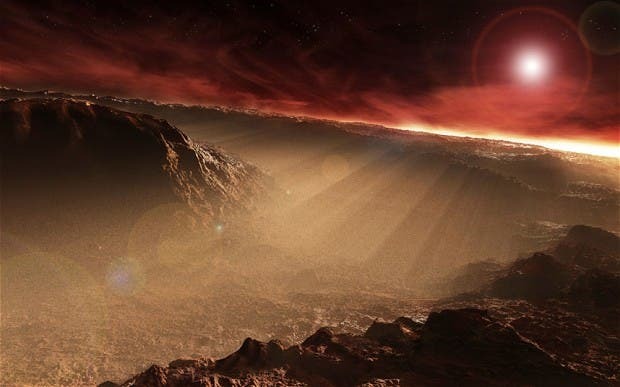 MAVEN data have enabled researchers to determine the rate at which the Martian atmosphere currently is losing gas to space via stripping by the solar wind. 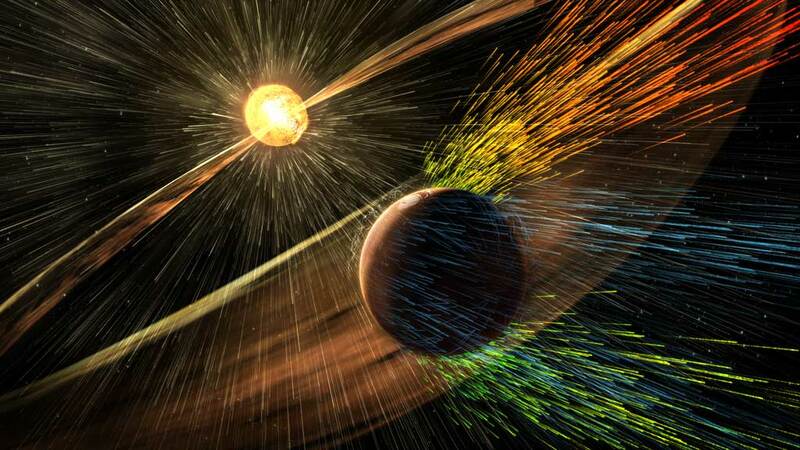 The findings reveal that the erosion of Mars' atmosphere increases significantly during solar storms. The scientific results from the mission appear in the Nov. 5 issues of the journals Science and Geophysical Research Letters. "Solar-wind erosion is an important mechanism for atmospheric loss, and was important enough to account for significant change in the Martian climate," said Joe Grebowsky, MAVEN project scientist from NASA's Goddard Space Flight Center in Greenbelt, Maryland. "MAVEN also is studying other loss processes — such as loss due to impact of ions or escape of hydrogen atoms — and these will only increase the importance of atmospheric escape." Mars' Once-in-a-Million-Years Comet Flyby — "Thousands of Shooting Stars Per Hour"
NASA Mars Curiosity Rover Finds Ancient Active Methane Spike –"Biological or Non-Biological?"